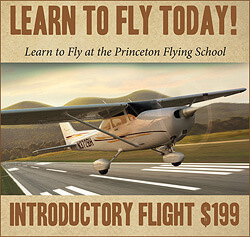 Meet Jeff Slutsky - Princeton Flying School Instructor - PRINCETON AIRPORT ~ Learn To Fly Here! Jeff Slutsky is a very popular flight instructor here at the Princeton Flying School. In this first in a series of videos, Jeff describes how students learn to fly at Princeton Airport. Jeff has been a flight instructor since 2006 and has been teaching at Princeton Flying School for the last 2 years. 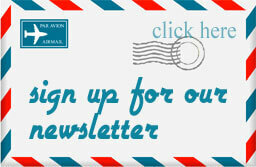 Most prospective students coming here have very little experience with small aircraft. Other than flying on the airlines, they have never been in a small airplane before. 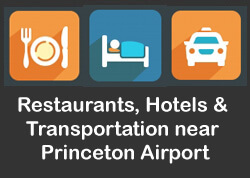 The most common reason people to come to Princeton Airport is for what’s called an intro flight. 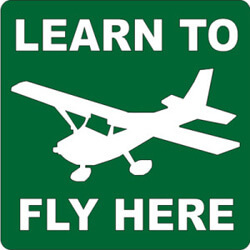 For an Intro Flight, you will come and meet a flight instructor. They will go out on the airfield and pre-flight the plane with you together. They’ll teach you a little bit about the basics of flying. You’ll get inside, you’ll taxi down to the end of the taxi way, take off on the runway and you’ll soon be flying a plane with very little input from your instructor. The Intro Flight Lesson is just a very brief intro to what it’s like to be a pilot. And almost everybody who comes and takes and intro flight has a wonderful time. Jeff hears many comments like, “Oh my God, this is the best experience I’ve ever had.” That’s the pilot’s training starting point for most of the people who come here.